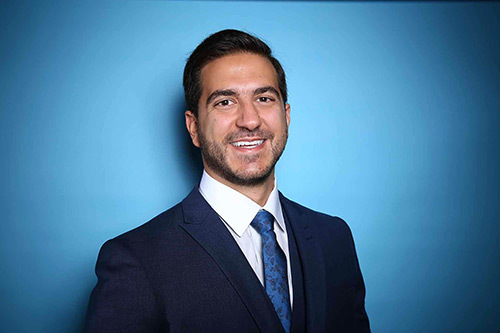 Akef, a lawyer from Beirut, developed a passion for commercial law and chose City, to develop this further, by embarking on our LLM programme. He has been registered before the Beirut Bar Association since 2013. Akef studied the LLM in International Commercial Law at City, graduating with Commendation in 2016. Here he explains why he chose City to enhance his knowledge of this area of law. I studied my LLB at the Lebanese University in Beirut, and ever since my second year in college I sought internships in the legal field. However, promptly following my graduation, I became a trainee lawyer at a Tier 1 law firm in Beirut. Throughout these years, I developed a passion for commercial cases as well as banking and finance matters, henceforth I decided to pursue my studies and to specialise in that area of the law. City’s reputation proceeds it, whether how highly ranked it is amongst its peers, or how fast it is evolving and going up the ladder scale. The feedback received from former students is spot on! Speaking as an Alumnus myself I can confirm every positive attribute that I was told about the University. The modules taught, the materials given and the quality and calibre of professors teaching the courses is noticeable. I’ve always read that City’s location is excellent but I never thought that would matter, up until the moment when I actually lived a whole year in London and found out how easy it is to reach the University, let alone The City Law School, the library and the classes being located in the hub of Central London. I chose the following five modules International Corporate Finance, International Tax Law, International Commercial Arbitration; Project Finance and Investment Law. My dissertation was in International Commercial Arbitration and was titled: "Recognition and Enforcement of International Arbitral Awards in the Middle East, specifically: United Arab Emirates – Kingdom of Saudi Arabia – Lebanon". I chose these modules, because I was keen on understanding the commercial, banking and finance aspect of the law. These modules were perfect for me, and tailor made for any person seeking to follow the same pattern as mine. Definitely do it! My contentment alongside my pleasure of having chosen to do this programme at City is firstly second to none, and secondly growing with every day that goes by knowing how many opportunities it has created and how many doors it has opened to me. Don’t second doubt it for a second, and choose The City Law School particularly as it is now part of the University of London. Such a merge is undoubtedly an added quality that would benefit both organisations greatly. I am currently working as an associate in the corporate, M&A and banking and finance practices of Alem & Associate, an international law firm, located in Beirut – Lebanon. My particular focus at the Firm is on Islamic finance and capital markets in the Kingdom of Saudi Arabia as I handle cross-border M&A and private equity work for the region. With branches in Beirut - Lebanon; Riyadh - KSA and Dubai – UAE, the Law firm Alem & Associates was ranked in 2017 by Chambers Global as a Tier 1 law firm in two practices them being: Corporate & Finance and Dispute Resolution; making it the best law firm in Lebanon and a leading one in the Region. As for my future plans, knowing that I have a weak spot for the City of London, I reckon I’ll be back there one day, hopefully, thanks to City.